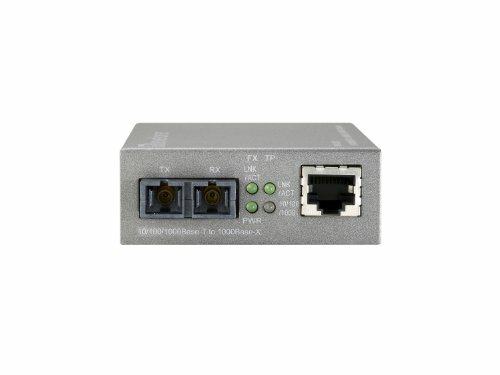 The LevelOne Web Smart Media Converter GVS-3110 is designed to make conversion between 10/100/1000BASE-T and 1000BASE-LX10 SMF SC Ethernet. With web-based management, the network administrator can log on to the converter remotely to monitor, configure and control the status of each unit. The overall network reliability is enhanced, and the network efficiency is also improved to accommodate and deliver high bandwidth applications. If you have any questions about this product by CP Technologies, contact us by completing and submitting the form below. If you are looking for a specif part number, please include it with your message.